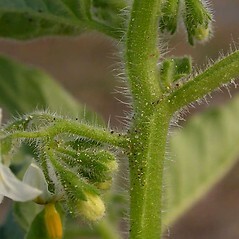 stems densely pubescent with appressed or ascending hairs, calyx not accrescent, and berry yellow to red (vs. S. physalifolium, with stems pubescent with spreading hairs, calyx accrescent, concealing up to 50% of the fruit at maturity, and berry green to green-brown). 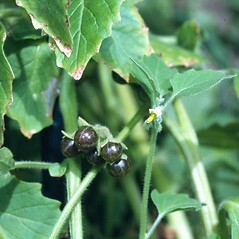 Our variety is Solanum physalifolium Rusby var. 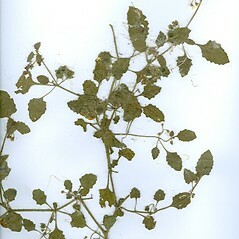 nitidibaccatum (Bitter) Edmonds. 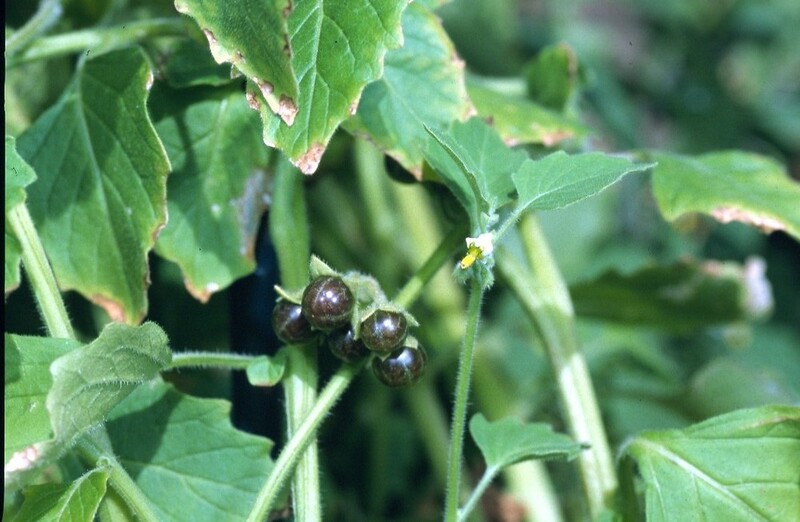 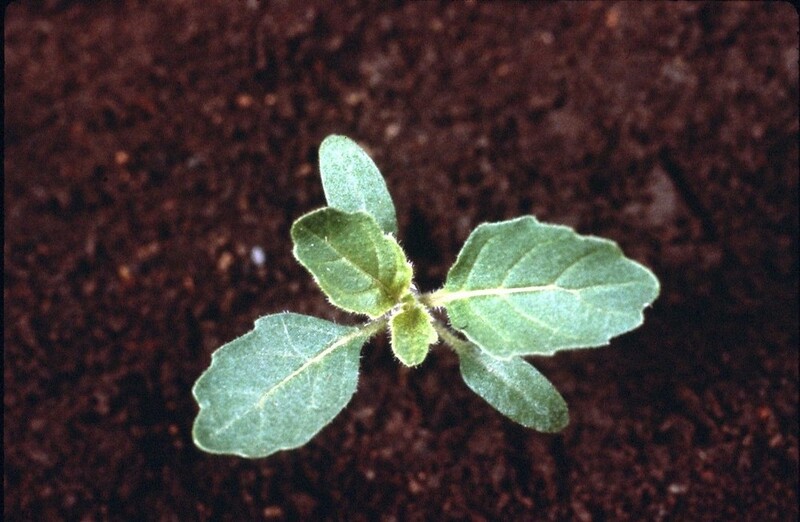 ground-cherry nightshade. 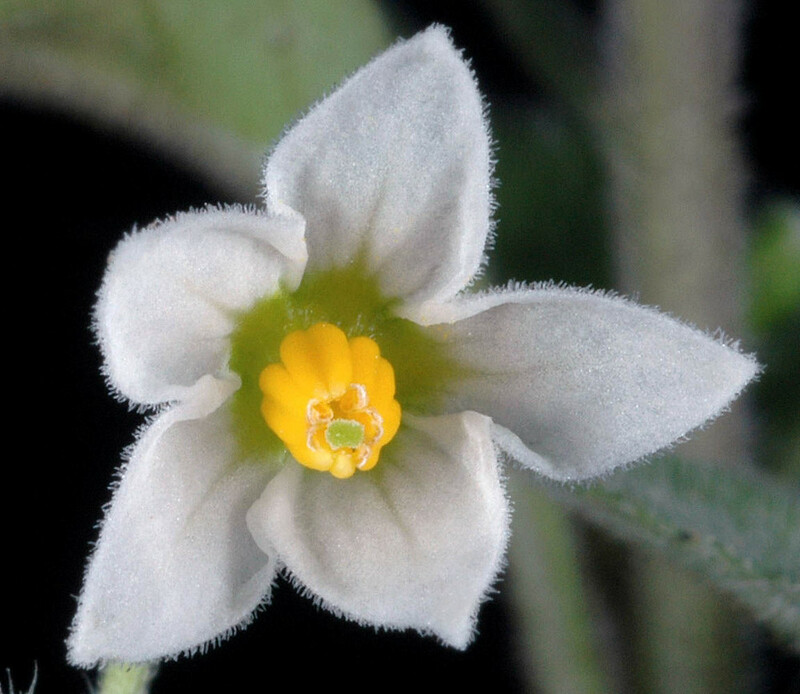 Solanum sarrachoides, auct. 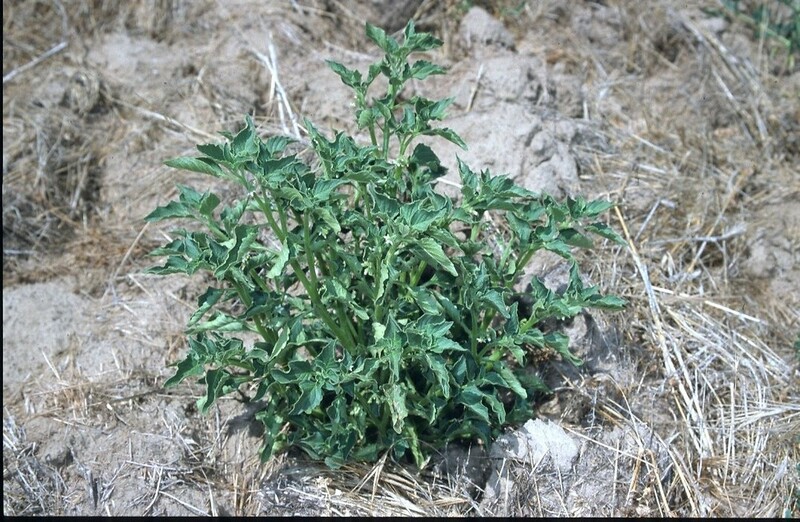 non Sendtner • CT, MA, ME, NH, RI, VT. Fields, roadsides, waste areas, dumps, gardens. 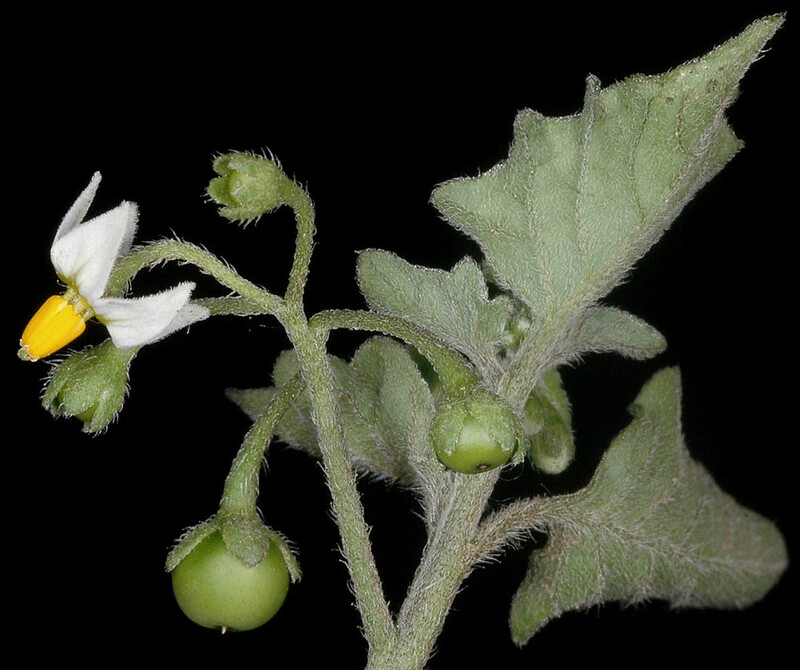 Solanum physalifolium has been confused with S. sarrachoides in many treatments that include these plants. 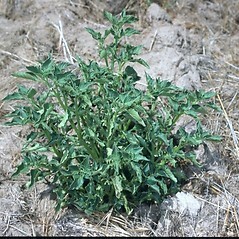 The former species (specifically var. 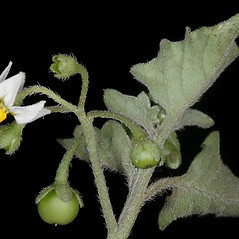 nitidibaccatum) has (3–) 4- to 8 (–10)-flowered inflorescences, white to purple corollas with a distinct purple (rarely brown) and yellow central region, corolla lobes ± as long as wide, and translucent green to green-brown berries that contain brown seeds and usually 2 sclerotic granules. 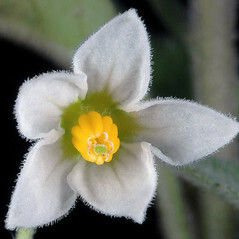 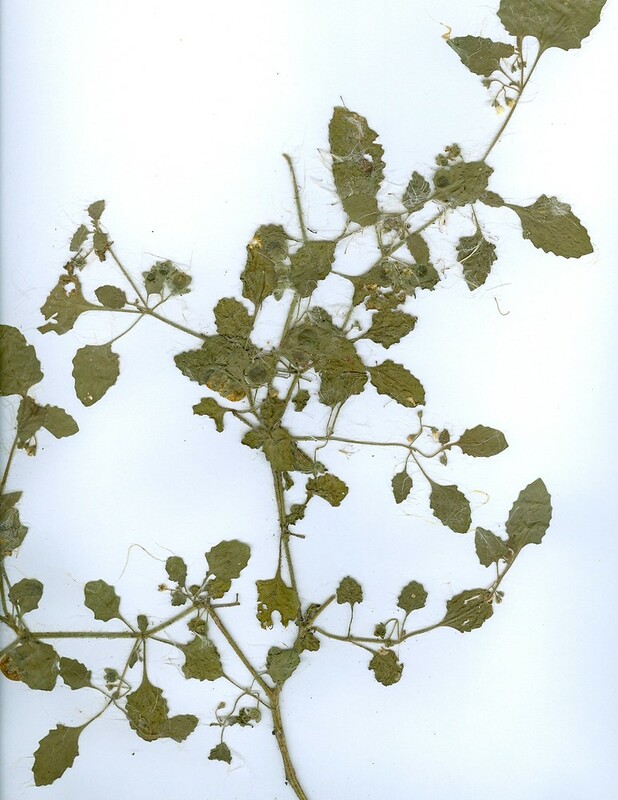 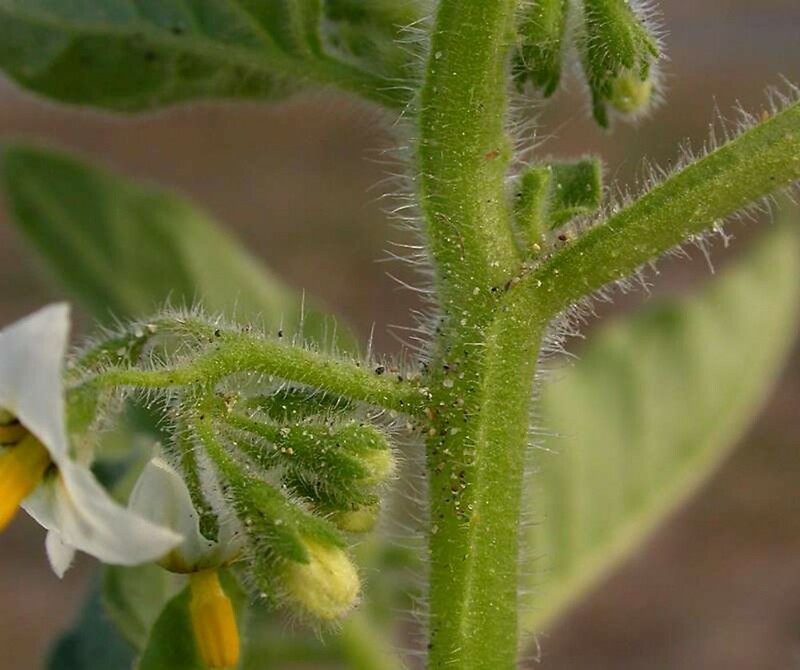 The latter species has 3- or 4 (–5)-flowered inflorescences, white corollas with a yellow central region, corolla lobes wider than long, and opaque, pale green berries that contain yellow seeds and usually 4–6 sclerotic granules. 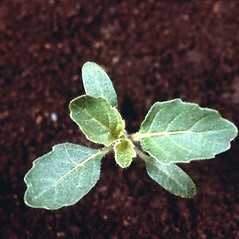 See Edmonds (1986) for discussion.